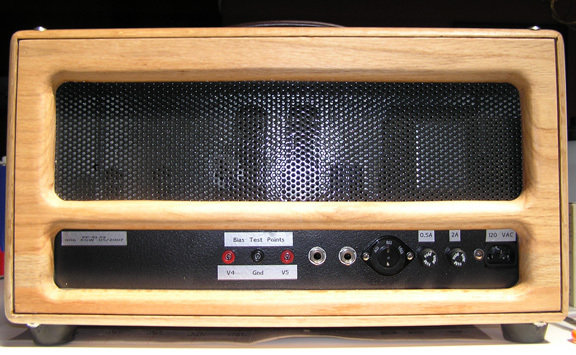 The PP-EL34 Guitar Amplifier is a 50 watt push-pull guitar amplifier. 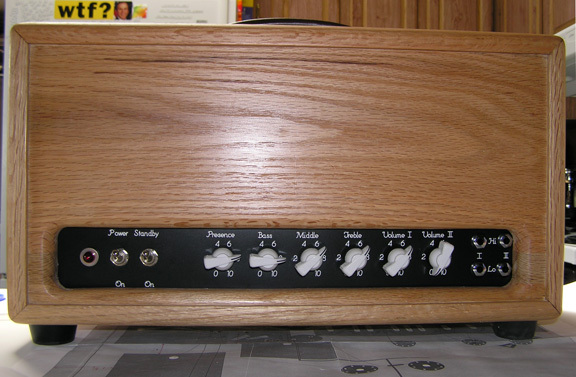 This is my version of the Marshall 50W "plexi" model number 1987. 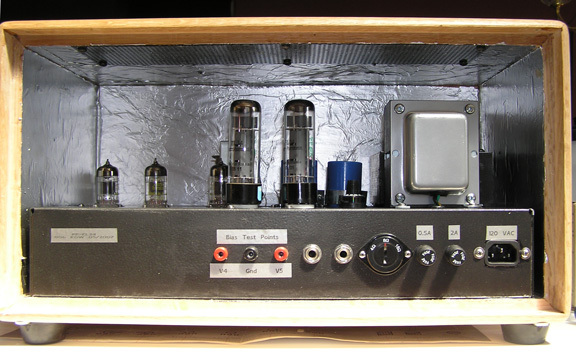 The amplifier is hand-made with point-to-point wiring. 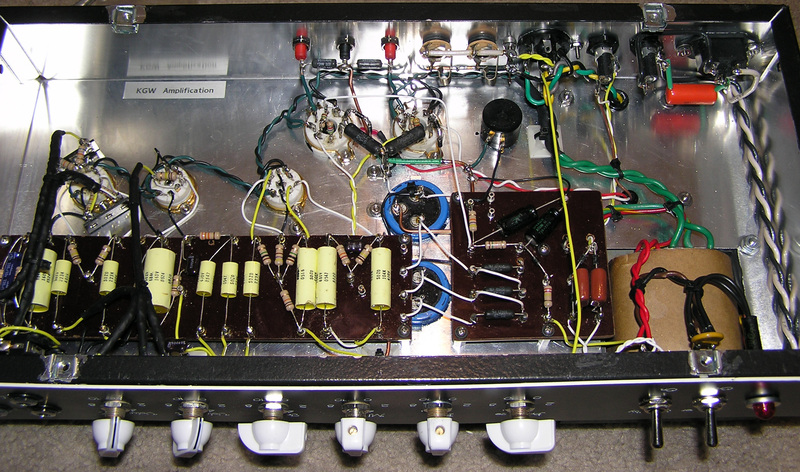 This amp rocks. It has that great heavy classic rock sound. It has great sensitivity, punch and drive. It is the best "Marshall" that I have played. The cabinet is made of oak. 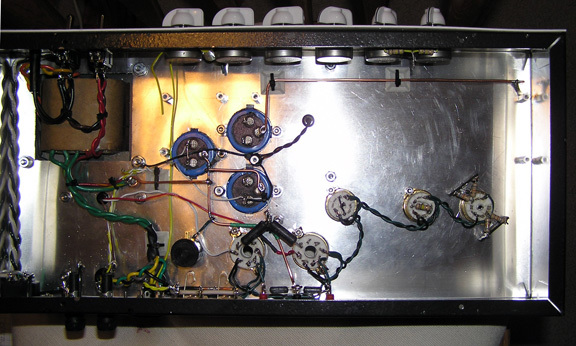 It has a Mercury Magnetics choke and output transformer and a Heyboer power transformer. 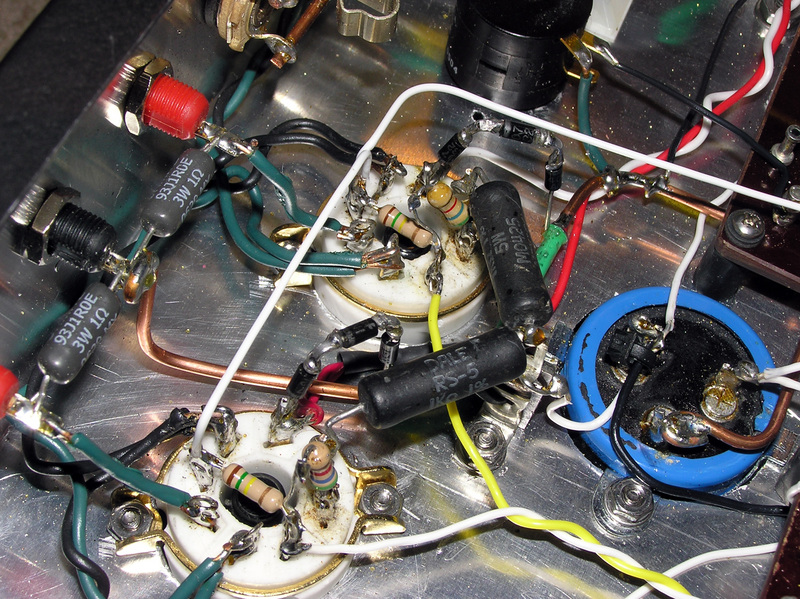 Resistors are Vishay metal film and wire wound. 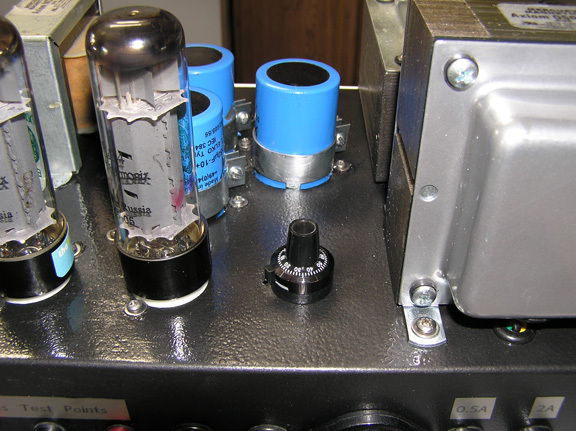 Capacitors are F&T filter capacitors and premium SoZo coupling capacitors.